As President Jacob Zuma’s fate hangs in the balance, new evidence shows it was not only his son Duduzane, but also his fourth wife and their young son – and by extension he – who benefited from Gupta largesse. The #GuptaLeaks show that millions were paid towards an exclusive property purchase – trashing years of denial. The evidence also suggests that some of the money that found its way to the purchase was the proceeds of bribery, laundered from the UAE. 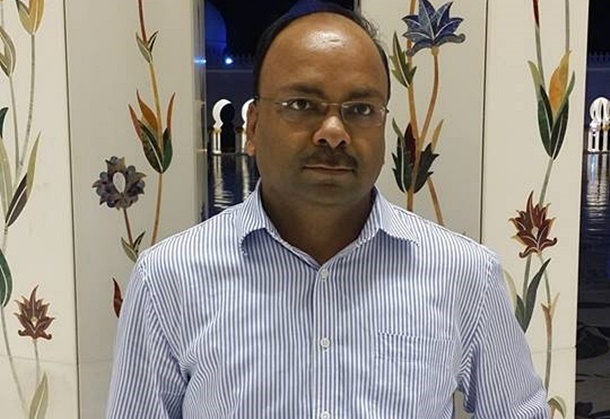 On 9 February 2016, Bell Pottinger sent Gupta lieutenant Santosh Choubey a document entitled “Master Q&A”, a menu of ready-made answers for the media. As South Africans have come to expect from Bell Pottinger’s now infamous disinformation campaign, the story, however, was completely true. 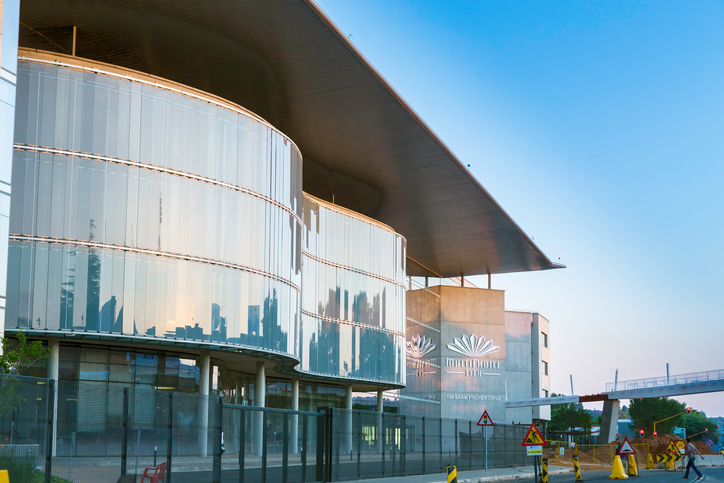 Bank records, accounting records and budgets show the Guptas and Duduzane Zuma paying as much as R3.4-million of the bond on the property, after making what appears to be an initial down payment of R1.15-million – giving a total of over R4.5-million. The younger Zuma’s role in routing these payments suggests he was not in business with the Guptas “on his own accord”, as his father has claimed, but at least partly as a bagman for the Zuma family. Equally damning, the money trail suggests the president’s wife – and by extension Zuma himself – benefited from the proceeds of corruption laundered from Dubai. The presidency, Ngema-Zuma and the Guptas did not reply to questions sent late last week. A person with first-hand knowledge said that the president personally inspected the sprawling property before the purchase. A neighbour said he had been known to visit regularly. Deeds office records of the transfer identified the Sinqumo Trust as the buyer, and Ngema-Zuma as its trustee. Named after the president and Ngema-Zuma’s young son, Sinqumo, the trust is more opaque than most. Public lists on the department of justice website, which usually shows trustees and other basic detail, omit the Sinqumo Trust altogether. In response to earlier amaBhungane attempts to inspect the trust records, the master of the high court in Pretoria, where the records should be kept, maintained they could not be found. In the absence of the records it is not known whether the president is a trustee alongside Ngema-Zuma or has rights to the trust assets. But even if he has no formal connection to the trust, he arguably benefits given that the property is home to his wife and son. R3.84-million of the R5.24-million purchase price was bond financed by Bank of Baroda, the Guptas’ favourite lender. When amaBhungane confronted the Guptas with additional evidence of their links to the bond in 2012, one of their senior executives dismissed it as “irrelevant” and “absolute rubbish”. The #GuptaLeaks show that the bond was serviced by the Guptas and Duduzane Zuma generally at a rate of R65,000 a month from the outset. They also show that on 18 August 2010, the day after the deeds office effected the transfer to the Sinqumo Trust, R1.15-million was paid into Sinqumo’s current account. This is consistent with it being a down payment; the bulk of the difference between the purchase price and the bond amount. 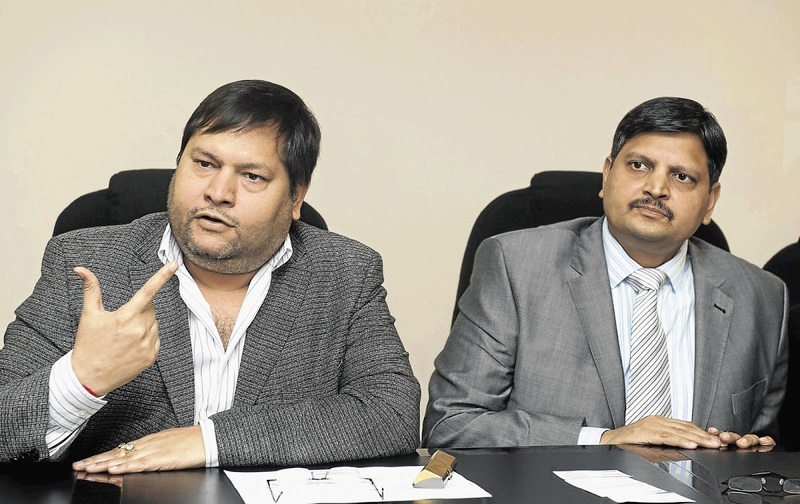 The R1.15-million in turn came from Gupta company Islandsite Investments via Pragat Investments, which at the time was involved in a scandal over the attempted hijacking of iron ore mining rights at Sishen. Although Pragat was nominally owned and controlled by then Gupta executive Jagdish Parekh, #GuptaLeaks records suggest it was financially integrated with the Guptas’ Oakbay group. Parekh did not answer questions before going to press. When President Zuma appeared in Parliament in June this year, he was pressed by DA leader Mmusi Maimane on Duduzane’s relationship with the Guptas. Zuma painted his son as an ordinary citizen who was legally entitled to go into business, like anyone else. Duduzane, he said, was “involved in business on his own accord” and that “whoever he does business with, is his own business”. The #GuptaLeaks evidence strongly suggests that Zuma’s statement was untrue. Whatever business the younger Zuma may have done on his own accord, he also was an apparent conduit for Gupta money to benefit the Zuma family. Mabengela Investments, a company named after the hills overlooking President Zuma’s Nkandla homestead, is majority owned and controlled by Duduzane Zuma and Rajesh “Tony” Gupta. Records show that Gupta money was routed through Mabengela to pay the Waterkloof Ridge bond. So, for example, the same R65,000 amounts that ended up as the first three instalments in September, October and November 2010, can be seen from accounting records to have flowed to Mabengela from Islandsite Investments and Oakbay Investments, both Gupta companies. Mabengela income statement and budget records show R1.65-million flowing and budgeted to flow from it to the Sinqumo Trust during the 2012/13 and 2013/14 financial years. Transfer instructions submitted to Absa, as well bank records, show that these “investments”, as they were called, were used to pay monthly installments of R65,000 on the bond during those two years. In some months, Mabengela directly transferred R65,000 to Sinqumo Trust’s Bank of Baroda accounts. In others, Mabengela transferred the same amount of R65,000 to “D Zuma”, “DZ – BOB” and “DZ”, in apparent reference to Duduzane Zuma. Apart from the monthly bond repayments, Mabengela also paid a R535,000 lump sum to Sinqumo on 2 September 2013. Of this, nearly a third seems to trace back to offshore Gupta accounts stocked with kickbacks from Transnet contracts. It would be a serious indictment if bribes were laundered to a sitting president’s wife. We exposed the alleged Transnet kickbacks in June and July. These included R1.4-billion received from locomotive manufacturer China South Rail (CSR) and at least R55-million from Swiss crane manufacturer Liebherr. A contract between CSR and a Gupta-related company made it clear the CSR payments were commissions in return for Transnet locomotive contracts. Similarly, payments from Liebherr flowed contemporaneously with Transnet crane contracts. Gupta accounting records then show the funds flowing into and through their offshore network. Sitting in the middle was the Guptas’ US relative Ashish Gupta. In 2013, he was just 26 years old with no apparent business profile. Yet, he somehow had over R100-million at his disposal, which he transferred to Oakbay Investment in a handful of tranches between 30 August and 6 September. Purportedly, the money was Ashish Gupta’s “advance” contribution for a mining partnership, but there is scant evidence that his money was used for this. The payments landed in Oakbay’s State Bank of India account. Typically, the cash was immediately disbursed across a number of Gupta company accounts using multiple back-to-back transfers. Ten months later, Ashish Gupta’s R100-million was reimbursed by Accurate Investments. Accurate is a Gupta front company in the United Arab Emirates, which by then had received much of the CSR and Liebherr money. CSR and Ashish Gupta have not responded to emailed questions. Liebherr has said it is investigating the allegations. While the Guptas repeatedly lied to South Africa about their funding the purchase, there was one entity which was well aware of the true nature of the arrangement and which also had a legal obligation to report suspicious transactions: Bank of Baroda. Baroda had Ngema-Zuma swear a statement entitled “Information Required by the Bank to Comply with the Financial Intelligence Centre Act”, as part of the process to obtain the bond. Ngema-Zuma declared that “the source of income/funds to finance the purchase of the property by [Sinqumo] is the following: – own funds and Bank loans”. Even if Baroda – the Guptas’ long-standing banker – was not at that moment privy to the real source of Ngema-Zuma’s funds, it quickly should have been. Records suggest the source of the funds was no mystery to Baroda. Regularly, as funds from Mabengela reached Sinqumo’s current account at Baroda, they were immediately used to pay Sinqumo’s bond instalments. Baroda did not reply to questions. Zuma’s history of relying on others to support his family is well known. His loans from arms-deal convict Schabir Shaik and Durban businessman Vivien Reddy are prime examples. Zuma disclosed in the public section of his 2009 Cabinet interest declaration that a businessperson provided a luxury home for the use of another of his wives in Durban for free, even though some family benefits may be declared in a confidential section. In the public section of his 2016 declaration – by which time the Waterkloof Ridge bond was presumably fully paid as it had a five-year term – Zuma declared the “use” of properties on the Durban beachfront and in Forest Town, Johannesburg. He also declared two books he received – Mastering negative impulsive thoughts and Ethics in decision-making. 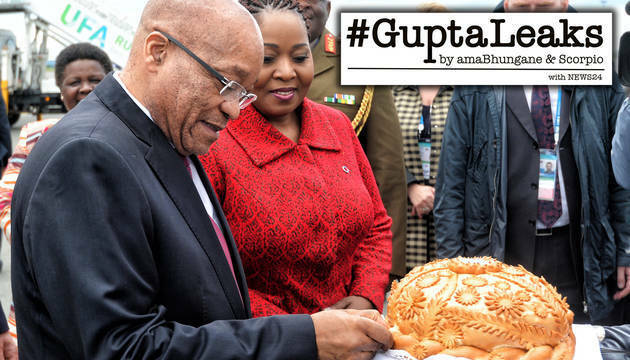 While countless questions about Zuma’s relationship with the Guptas remain, the #GuptaLeaks do, at the very least, shed light on their relationship with Ngema-Zuma. In addition to the bond payments, Ngema-Zuma was also employed by the Guptas’ JIC Mining Services for a while as of 2010. In 2011, JIC chief executive Jacques le Roux told amaBhungane that Ngema-Zuma “contributes in an important way towards JIC’s corporate goals and has the respect and admiration of all her colleagues”. AmaBhungane and Scorpio can now report that Ngema-Zuma’s last official act at JIC (at least as revealed in the #GuptaLeaks) was to co-ordinate the company’s year-end party in 2011. In retrospect, South Africans might consider the theme chosen for the evening particularly apt. On 17 November 2011, Ngema-Zuma addressed an email to her colleagues, requesting that they RSVP.